It has come to my attention that the Florida Attorney General’s office just announced they are conducting investigations into the state’s three biggest foreclosure law firms for allegations of deceptive and unfair actions. These firms, which at times are called “foreclosure mills,” are the Tampa-based Shapiro & Fishman, Fort Lauderdale Law Offices of Marshall C. Watson and the Law Offices of David J. Stern, based in Plantation. A lawsuit seeking class action status was filed by a Fort Lauderdale attorney against Stern just last month. The lawsuit is claiming this firm generated fraudulent mortgage assignments, basically falsifying foreclosure documents when they were pursuing foreclosures. FYI: an assignment is held by the entity that has the right to receive mortgage payments. The law of offices of David J. Sterne according to the lawsuit filed up to a whopping 7,000 foreclosure cases in Florida every month last year, presumably with fabricated foreclosure documents . As if that wasn’t bad enough, the lawsuit also alleges this firm pursued foreclosures for lenders that didn’t even own the debt on the homes. “This foreclosure crisis was not created by David Stern, but it is so huge and a lot of people are in very bad shape, so some of the finger-pointing goes to him,” attorney Tew said. Mr Tew went on to say that portions of the lawsuit that claim Stern conspired to confuse ownership of homes is “fantastical”/fantasy. Attorney General Bill McCollum’s office released a press release and it says due to the fact that many mortgages have been bought and sold by financial institutions numerous times, some vital foreclosure documents/paperwork involved in the process to obtain foreclosure judgments is oftentimes missing. Don’t let this happen to you! Get expert help to look over your loan and foreclosure docs. Don’t think for a moment that these types of fraudulent activities are only going on with just three law firms in Florida. This type of activity is happening all over the county, just apparently on a much larger scale with these companies because of the larger amount of foreclosures they handle. You can avoid foreclosure and get the foreclosure assistance and foreclosure help you need from an expert in foreclosure solutions. Don’t Qualify For A Loan Modification? Unfortunately, last month more delinquent homeowners learned they didn’t qualify for President Obama’s foreclosure program. New concerns regarding the U.S. housing market’s health and vibrancy have rightfully renewed interest in the success of President Obama’s foreclosure prevention programs. It has been wondered that an increase in foreclosures, combined with the current drop in housing sales, could once again send home prices plummeting. Raphael Bostic, according to cnnmoney.com, stated that the marketplace is still fragile. Unfortunately, 91,118 people in trial modifications were canceled in June, which brings the total to 520,814, only about ten to twelve percent (10% – 12%), a drop in the bucket, of the near 5 million homes in foreclosure since the program first started early 2009. More than 60% of those who dropped out last month had been in trials for at least half a year. Homeowners that don’t submit the proper paperwork, don’t meet the qualifications or make the necessary payments are kicked out. It is my understanding that from now on the loan Servicers before entering the homeowner in the program will collect needed documents and review the homeowners’ eligibility. Once the homeowner trials are canceled, less than half of homeowners do get an alternate modification, and many times from their loan Servicer. There are only 364,077 homeowners that remain in the trial phase, and approx 38,728 of that figure are homeowners that entered the program in June. You don’t necessarily have to be one of the thousands that have lost their home to foreclosure. I have helped many homeowners stay in their homes and avoid foreclosure, and I may be able to help you too. I offer a Free – No Obligation Consultation And Preliminary Audit of your mortgage situation. Author Guy ChattingPosted on July 26, 2010 July 26, 2010 Categories loan modificationTags avoid foreclosure, foreclosure assistance, foreclosure expert, foreclosure help, foreclosure solutions-1, help to stop foreclosure, stop foreclosureLeave a comment on Don’t Qualify For A Loan Modification? According to two Republican Congressmen, President Barack Obama’s plan to help homeowners avoid foreclosure is a failure. According to a resource, Rep. Jim Jordan, R-Ohio and Rep. Darrell Issa, R-Calif communicated to Treasury Secretary Timothy Geitner a letter, which was sent not too long ago, telling him to “end immediately” the Home Affordable Modification Program known as HAMP. Since Pres. Obama announced the program in Mesa in February 2009, [over 1 year ago] only 340,000 homeowners have had their mortgage loans permanently modified through the program. President Obama said 3 million to 4 million homeowners would be helped by the program. Did you know that even homeowners who are granted long-term modifications often still end up in foreclosure? “Why”, you ask? Well, because in many cases the payments are still simply too high for them to afford. People have said we are simply in a death spiral, but in lots of cases it doesn’t have to be that way. I offer a free audit of your mortgage documents and may be able to help you avoid foreclosure long-term. Just give me a call to discuss your particular circumstance, I will be happy to see if I can help you just like I have helped other homeowners fight foreclosure. Home foreclosures are unfortunately still a serious problem in our country. Though, foreclosure rates are down in areas such as Atlanta, that’s not the case in most of America. Each month, there are thousands of foreclosures in newspapers across the country and many predict the numbers will stay the same for some time to come. Many attorneys that handle foreclosures are saying that they think what we’re seeing now will continue and foreclosures will continue on a steady pace. There are alternatives to a foreclosure, one being something called a short sale; however not everyone qualifies. You see, it’s very costly for a bank to foreclose a home, then put it back on the market, and in many cases have to repair the house prior to placing it on the market. Another alternative is to fight your foreclosure. I have successfully helped many of my homeowners stop the auction of their home by their banks and remain in their homes. I offer a free preliminary audit of your mortgage documents to see if I can help. I lost my home to foreclosure years ago and decided then and there to never let that happen again and to help anyone I can to avoid the same. Welcome to the Foreclosure Expert Videos from Help to Stop Foreclosure Net, your foreclosure network. Many a foreclosure expert says that Short Sales are the way to go to stop a foreclosure as one of their preferred foreclosure solutions. Others like myself contend that much of the time is does not work and the bank has little motivation to do a short sale unless the banker/lender finds that you are one of those few homeowners that have found out about the bank’s violations of the law and can fight them on it and possibly win. Once the banker knows that you are a homeowner that has found out about the fact that the bank has breached the mortgage and promissory note contract long before you did and violated laws in the process then the lender has more motivation to be fair with you and do something like a short sale to stop the foreclosure process. However, like many, if you are not satisfied with the bank getting your home that you worked so long and hard for, to keep, as one of your preferred foreclosure solutions, then you can also use the information that you gained in finding out about the bank’s violations to possibly stop the bank foreclosure and keep your home, and not have to do a short sale. Power is put back in your hands once you are armed with the information that bank hopes you never find out about that can stop your foreclosure. Here at Help To Stop Foreclosure you can get the information on the lender’s violations and the other help you may need to fight for your property and motivate the banker to do a short sale or even redo you loan so you can stay in you home. In today’s market experts feel that loan modifications are a good foreclosure solutions avenue for homeowners to take to stop a foreclosure. But like myself some experts realize that much of the time a loan mod does not work because the bank has little motivation to do a loan modification until creditor/lender finds out that the homeowner is one of the that has gained expert help and found out about the banker’s law violations in the creation of the loan and the homeowner can fight the banker on it and possibly win. When the lender/creditor or current beneficiary realizes that you are one of the few homeowners that has sought out real foreclosure solutions and found out about the creditor’s breach of the mortgage and promissory note contracts way before your default and the lender violated the law in the process then the current creditor has more motivation to treat you fairly and possibly do a loan mod to stop the foreclosure process. But, if they have no such motivation from you showing them you are aware of the bank’s violations then the banker is likely to not do a loan modification in the end of a long drawn out process of you requesting it and doing all the paperwork associated with the request. In addition, like many others, if you are the kind of man or woman that is not satisfied with the idea of the bank getting your home that you worked so long and hard for, but you want to keep your home and property, then you can also use the information concern on banker violations of the law to possibly prevent the creditor from foreclosure on you, and you can keep your home. The ball is now in your court when you have been given the informational tools that banker hopes you will never find out. 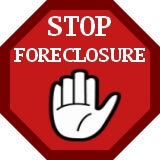 Here at Help To Stop Foreclosure you can find the information of the banks violations and other help and foreclosure solutions you need to fight for your home and motivate the bank to do a loan modification that can help you keep your home. When a homeowner fails to repay their debt in full and defaults on their mortgage a foreclosure takes place. The lending institution will sell the property to repay the debt to make up for the loss on their books. The cause for foreclosures vary and in today’s financial crisis, some of the main causes of foreclosure is income reduction due to job loss, ridiculously high credit card bills and the list as you know goes on. There are key elements that make up a foreclosure and the foreclosure process. One of the keys to keep in mind about the foreclosure process is the fact that time-lines and/or requirements that mortgage lenders must follow are different in each state. Therefore, a foreclosure may take as long as 3 years in one state but only three months in another to wrap up the foreclosure process. Not to mention that currently mortgage lenders are over burdened with foreclosures and this too will have an effect on how long the foreclosure process will take. There are options, and understanding how a foreclosure process works will greatly help you in any situation that has to do with the foreclosure of your property or home. If you are facing the same tragedy that too many others have gone through, please give me a call because I have helped many families avoid foreclosure and maybe I can help you too. I offer a Free – No Obligation Consultation And Audit of your mortgage situation. Author Guy ChattingPosted on June 29, 2010 Categories Avoid Foreclosure HelpTags avoid foreclosure, foreclosure assistance, foreclosure expert, foreclosure help, foreclosure solutions-1, stop foreclosureLeave a comment on What Is Foreclosure? The Obama loan modification “Making Home Affordable” Program is already running low on applicants, probably because the word is out the plan is not working well and is a time waster compared to other methods of getting real foreclosure solutions help. Currently their is an estimated 4 million homeowners that need help to stop foreclosure and the program has helped only a fraction to get help. The Obama administration is now requiring loan servicing companies verify a homeowner’s income at the beginning rather than at the end of the trial after which the loan applicant pace has slowed down. But not all is lost you can give yourself a real fighting chance to save your home. Contact a foreclosure expert at Help to Stop Foreclosure Net and get the assistance you need to help stop your foreclosure today! Click Here for an Email-Form and email your name and your issue and an expert will contact you back or Call toll free 888-819-6554. Free Live Foreclosure Solutions – Questions and Answers Chat: Learn the insider methods and techniques that others have used, and you can use to help you stop foreclosure fast. You can discover oustanding foreclosure solutions just by a simple chat with someone who knows how to stop foreclosures. Chatting with experts that can help you prevent foreclosure can boost your resolve to not give up, but to battle to keep your home. Get outstanding low cost and free foreclosure solutions help resources to help you stop your foreclosure Today!!! click –> foreclosure solutions Now!